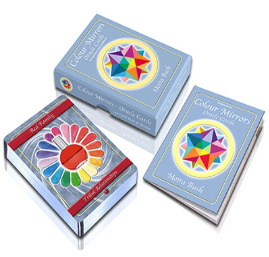 This beautifully presented deck of cards uses the Colour Mirrors system to help you discover where your blocks and issues are and how to shift them. It offers clear, simple, direct guidance and inspiration to assist you no matter where you are on your path. 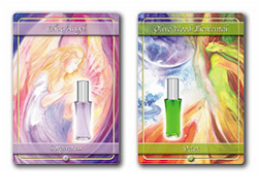 Each card depicts a Colour Mirrors Round Essential Oil or Essence Spray amongst beautiful artwork and imagery, and offers a powerful and enlightening message in the accompanying mini-booklet. 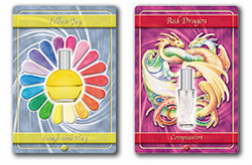 There are 44 cards made up of 18 Colour, 11 Angel, 9 Dragon and 6 Elemental Cards.